Yr Ffowndri – The Foundry Skills and training area. 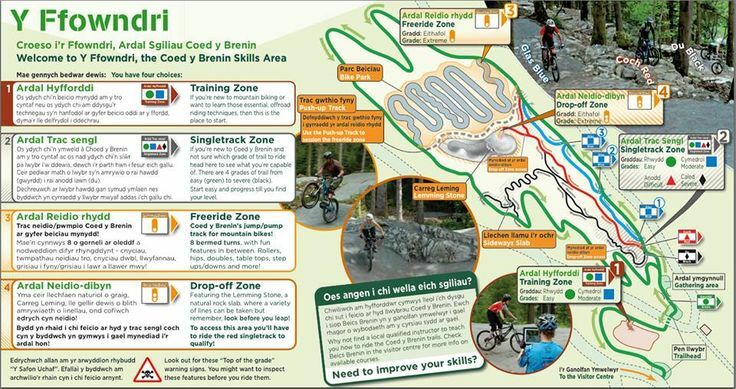 The Ffowndri skills area and bike park is a fantastic facility at Coed y Brenin. It’s ideal for beginners, just getting into the sport, right through to experienced, skilled riders. It’s split into 4 areas. Start off in the Training Zone to learn those core basic skills that will help you progress, give you confidence and make your riding more fun, then move on up through the progressively graded practice areas. If you are unsure which of the 8 trails to ride, then head to the Singletrack Zone, where you’ll clearly see the difference between the graded trails and examples of what to expect on the trails out in the forest. Not sure about the trail grading system? Learn more.